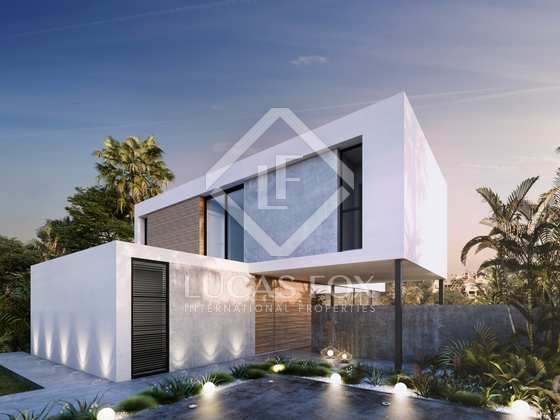 Zen-inspired villas for sale in Estepona with the option to select finishes and features. 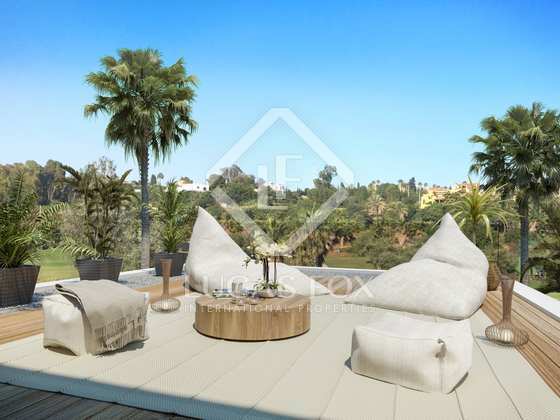 Exceptional villas for sale in Estepona, Andalucia. 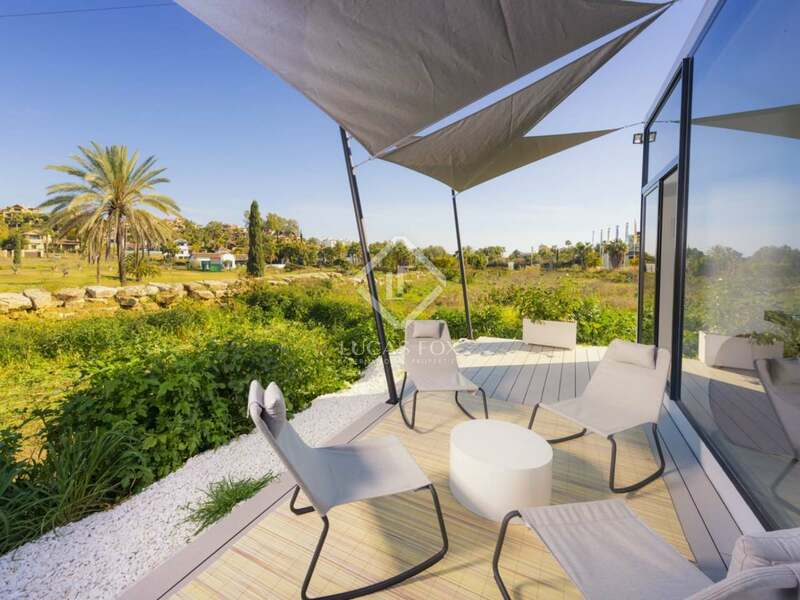 These unique villas boast a contemporary design, with the aim of creating a peaceful sanctuary surrounded by nature with maximum comfort in mind. 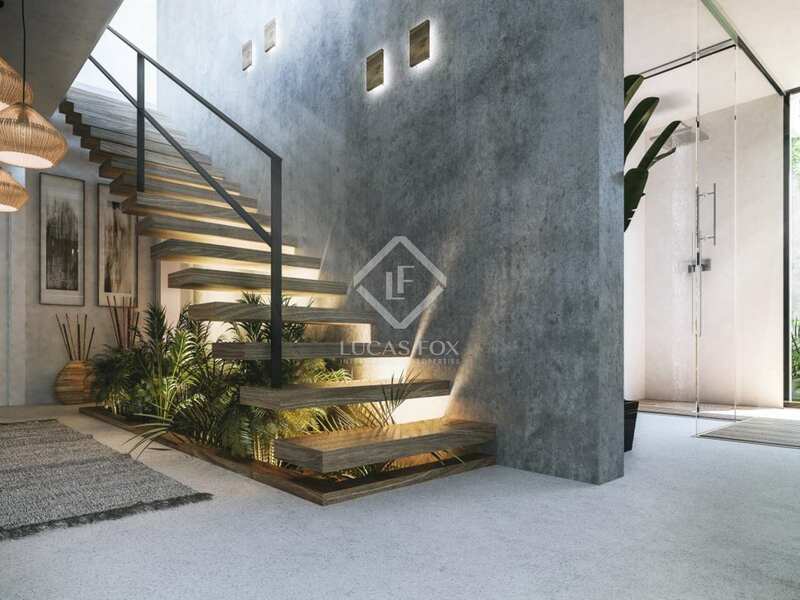 Construction of each plot begins once the client purchases the property, offering the opportunity for owners to select their own finishes and final design as well as add additional features if desired. The timeframe from start to finish is 18 months. 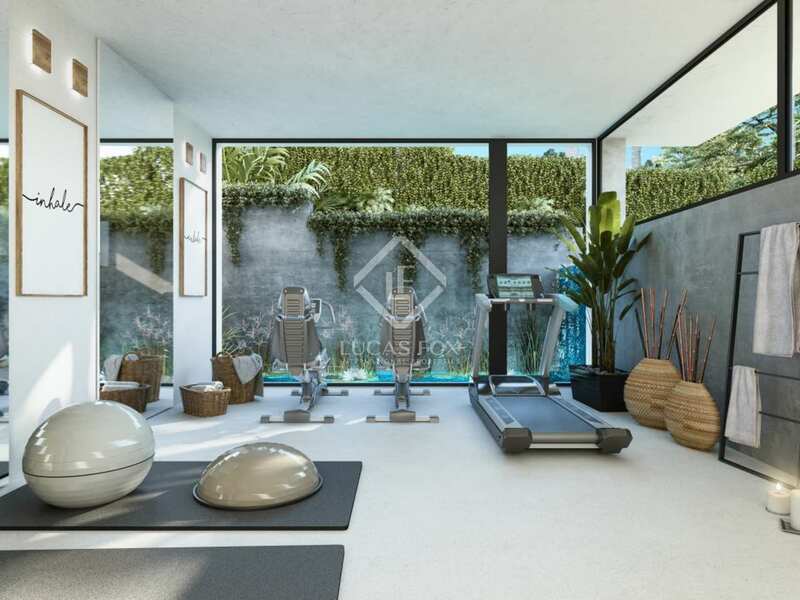 The villas are distributed across 2 floors plus a habitable basement with a private gym and spa which includes a hydro massage steam bath, sauna and access to a patio with waterfall and zen garden. 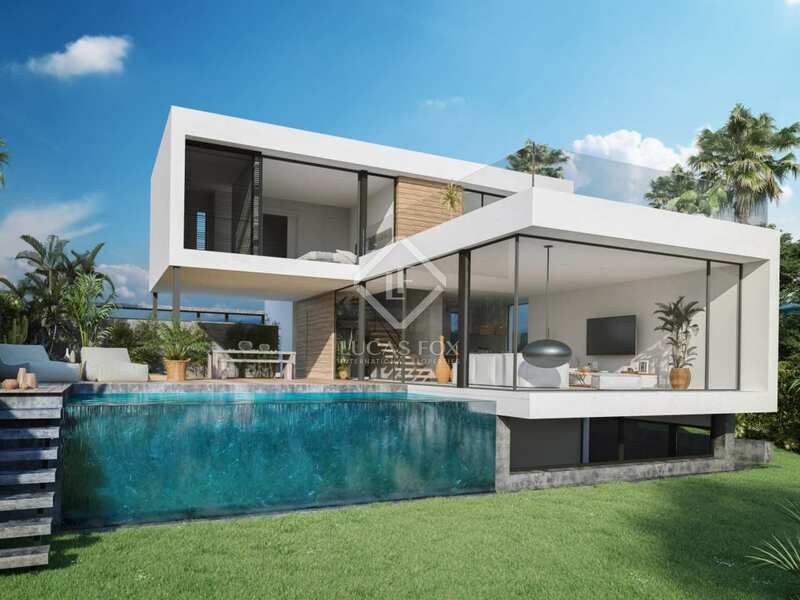 The villas make use of the highest quality materials and finishes for total comfort and are designed to make the most of views across the golf course. 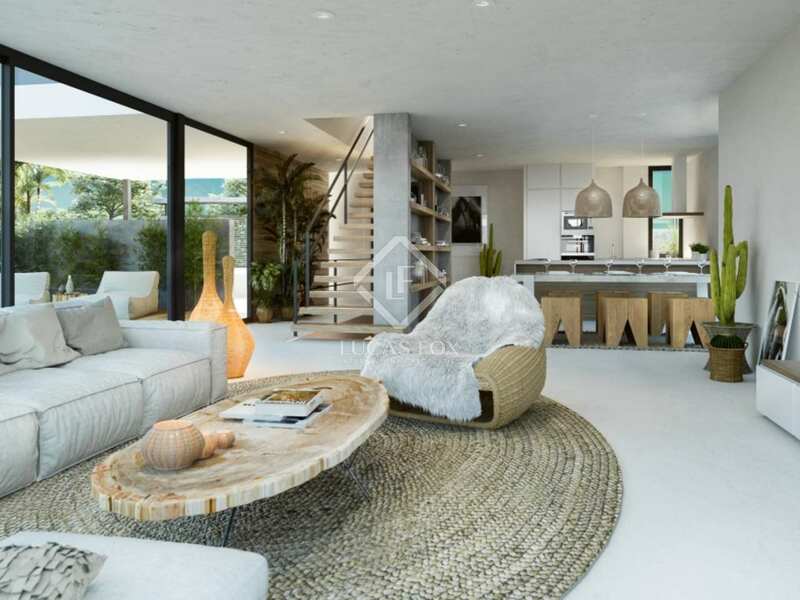 The modern, open plan design creates ample spaces with careful use of a neutral colour scheme. 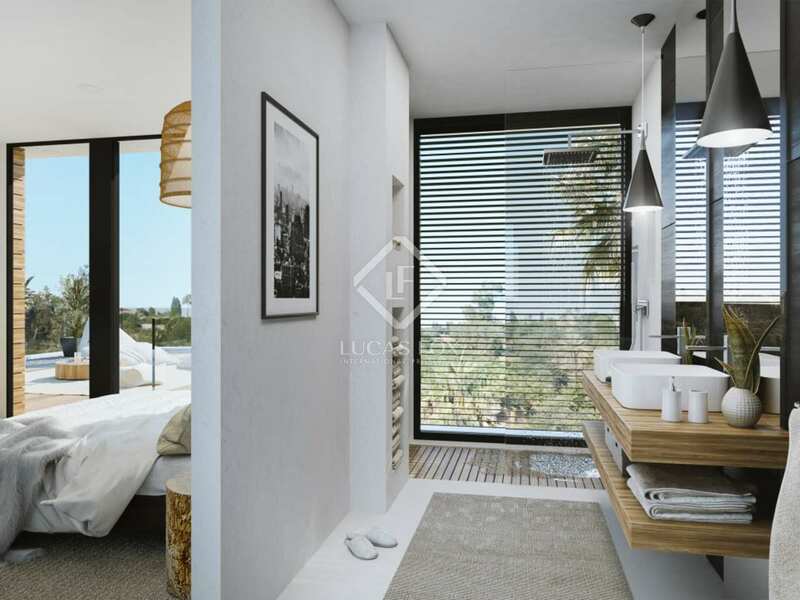 Furthermore, floor-to-ceiling triple glazed windows ensure the property is filled with natural light throughout the day. 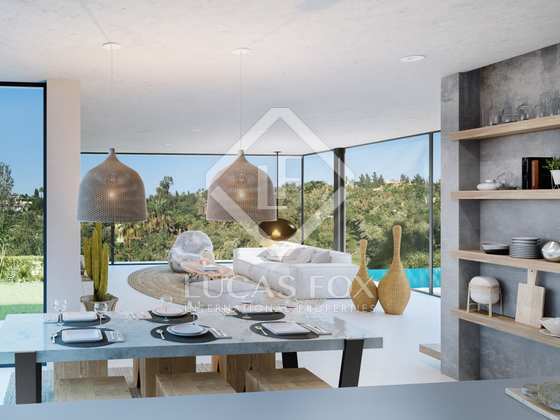 The living area leads directly onto the terrace with a private infinity pool and zen garden for total tranquillity. Located within the exclusive 'El Campanario' residential estate, residents have access to tennis and paddle courts as well as restaurants. The villas stand on plots of 500m² and all are front line golfcourse. This development only has a few remaining unsold units. Development located within the exclusive El Campanario residential estate which is located just a short drive from Marbella, Puerto Banus, Benahavis and Estepona. The area's best beaches and beach bars are just 1km away whilst golf courses can be reached in minutes. Malaga airport is 30 minutes away.